This category describes methods and reasoning behind planning the engine as a system. 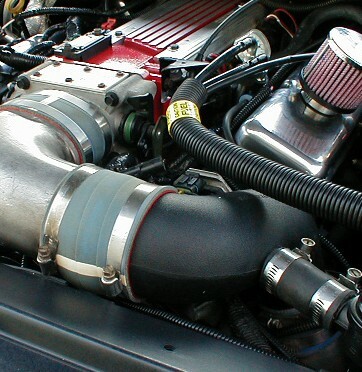 This article will describe the components and details of a 396 cubic inch LT1/LT4 for a supercharged application. It’s based on a combination I’ve built many times, intended for use with a centrifugal blower such as a Vortech S-trim or T-trim, or a Procharger P-600 or D-1. It has very good drivability, and will make 600 RWHP on premium pump gas at 12 psi while using a good intercooler. 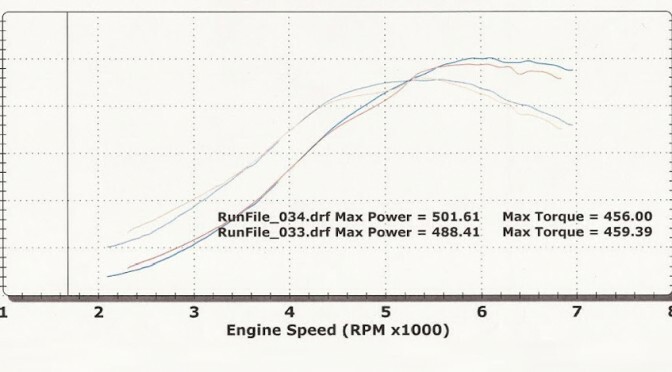 With race gas, an aftermarket computer, and 18 psi, this same combo has run 9.50’s at 145 mph in a very well prepared street/strip Camaro. At the heart of the rotating assembly will be a forged 3.875″ stroke crankshaft with standard size 2.100″ rod journals, 350 main journals, and a 1 piece seal rear flange. This configuration isn’t widely available, and given the power level that’s attainable, I’d certainly recommend sourcing a reputable American made company. If you plan to step up to a cog style belt, you should consider having your crank custom made with a Big Block Chevy post. Just be aware that this option requires a special timing set, timing cover, and damper. One of the most common questions asked here is: “How do I get the most value for my performance dollar?” Let’s face it; most of you have a budget that will dictate careful planning for your engine project. If budget were of no concern, then the focus would become component selection most suited to the application. Although it is relevant to some degree here, I’ll address that specific method of planning in an upcoming article. As I always try to emphasize, the best place to start planning for your engine build is to set a performance goal that is realistic based on your budget. The power you hope to make is based on compression ratio, cylinder head flow, valve timing events, and RPMs. As power numbers and RPMs go up, you should plan to increase your budget in order to step up the quality of components required to add durability to the rotating assembly and valve train. The title of this article may be a bit misleading. It indicates that I will be giving you the magic formula to build a 500 horsepower engine. The fact of the matter is that there are an infinite variety of ways to reach a predetermined level of power, be it 500, 750, or 1000 hp. The real lesson to be learned here is that reaching your performance goal is only one part of the formula for engine building success. In order to claim the status of “awesome“, the engine must also exhibit the driveability characteristics that you desire. Let’s have a look at what’s required to make sure your upcoming performance project turns out to be everything you hoped for.